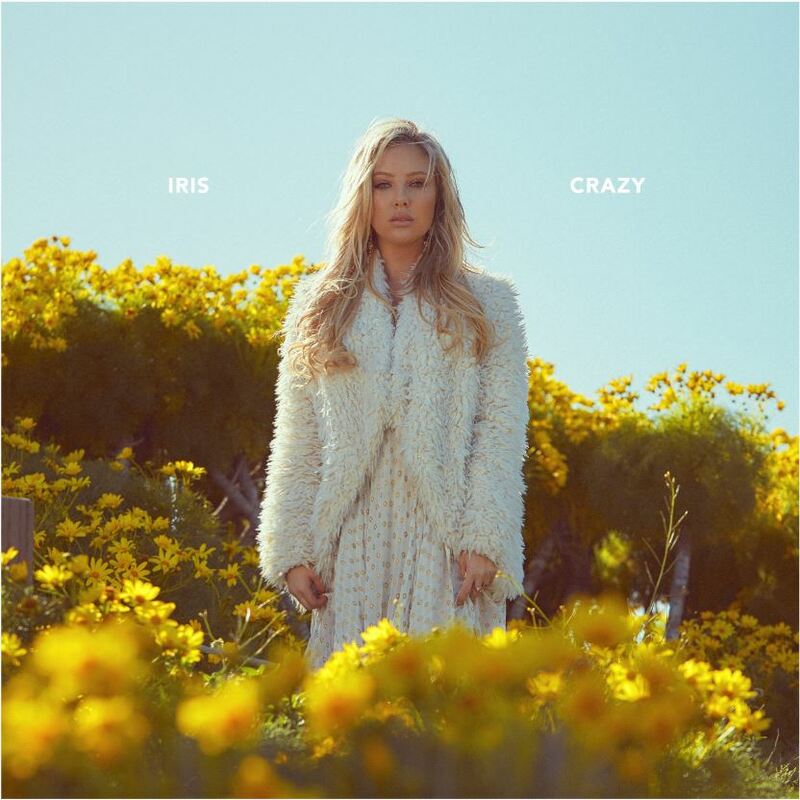 Newcomer Iris’ debut single “Crazy” (prod. by Malay) is shimmery, nostalgic, and just a little bittersweet. This is not a new sentiment, nor is it the first time it’s appeared in pop music. But with “Crazy,” singer/songwriter Iris crafts a pop song about the hazards of love that feels fresh. It’s a sparkling, golden bauble of a song, simple and elegant. Atwood Magazine is proud to be premiering Iris’ debut single today. The background instrumentation is understated. A pulsing series of ambient chords is overlaid with Iris’ lovely voice, her own croon mixed with Lady Gaga’s ’80s rock rasp, Lana Del Rey’s melancholic lamentation. You can even hear a bit of Frank Ocean influence in the production. The song is cyclical, without a typical verse-chorus-bridge structure, and – perhaps the smartest move – it never builds into the similarly typical massive pop crescendo and drop. Instead, shimmering background layers are slowly added. Harp begins after the first verse, and a lush horn and string instrumentation accompanies. Like the picture shows she mentions, the song takes on the quality of a old Hollywood dream. It’s sunset on the set and Gene Kelly sings to Debbie Reynolds. The melodies sound vaguely old fashioned – remnants from the era of jazz standards and crooners, or even early Disney princesses – but along with the modern production and vocal delivery, it’s a sound that is intriguing rather than tired. The melody is wide in range and sweet, Iris’ voice breaking endearingly on the higher notes. Her delivery ascends with the increase in twinkling production, the climax of which begins with four hits on an electronic drum. Here, we think the pop drop must happen. But no: The drop comes as one of volume, of energy. The song winds itself back to its repeated hook as Iris fades out. Each verse ends with the lyric, “I’m not crazy, I’m just crazy about you.” It’s difficult not to think of the tired stereotype applied to women in love: They’re crazy, psycho, or any number of other slams about their mental health. In Iris’ hands, this phrase becomes almost tongue-in-cheek, slung back with a sweet smirk and a wink. The experience described in “Crazy” is a near universal one, and Iris’ take on it brings a new light. She says her goal is to deliver positivity to her listeners, and this song is a lovely start to this goal. Stream Iris’ debut single, exclusively on Atwood Magazine!